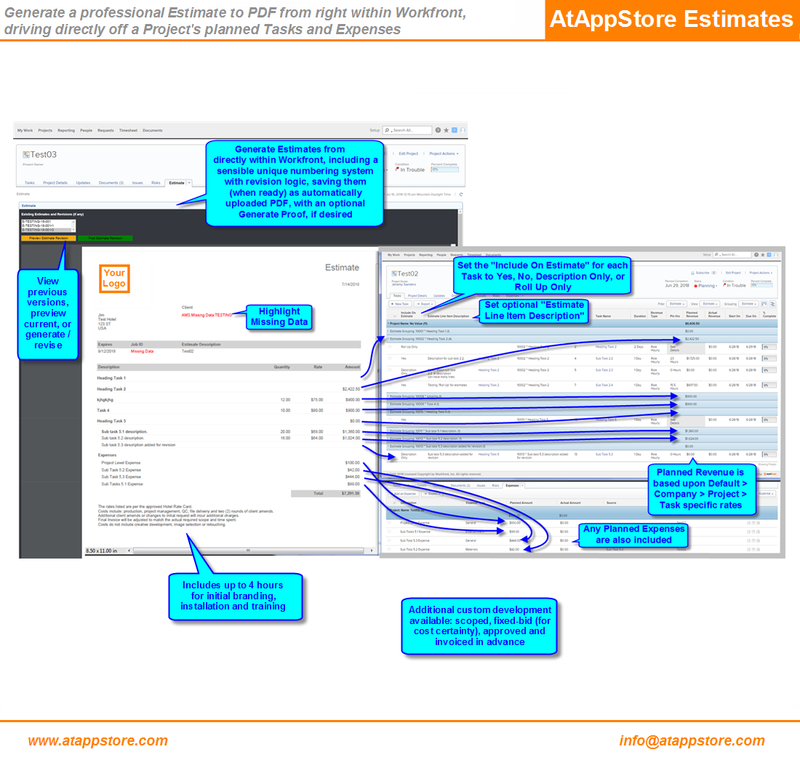 Our Estimate/Invoice solution allows you to efficiently tailor and create a branded, auto-numbered, professional estimate and/or invoice, driving directly off a project's planned tasks and expenses, then save it to PDF. Our Estimate/Invoice solution allows you to efficiently tailor and create a branded, auto-numbered, professional estimate and/or invoice, driving directly off a project’s planned tasks and expenses, then save it to PDF. Your first year’s annual license of our Estimate/Invoices solution includes branding, installation, and training. And because it’s based on our Magic Reports technology, if you’d like us to tailor it to suit your needs exactly, we’d be happy to discuss a fixed quote to do so. Our Magic Reports solution allows you to engage us to create engaging and professional custom reports tailored to your exact specification, maximizing the value of both your Workfront data and your investment. Our UberGantt solution grants you the ability to create a branded, customizable, printable Gantt chart of any Workfront projects and tasks of interest, simplifying communication in an insightful and professional format.